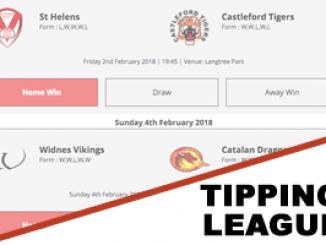 Widnes’ 7-0 win over Hull on Sunday has had us digging through the archives for the lowest scoring games in Super League history. We take a look at the six lowest scoring games since the competition started in 1996. It was Salford’s first ever game in Super League, having earned promotion at the end of 1996, which saw them replace Workington Town in the top flight. 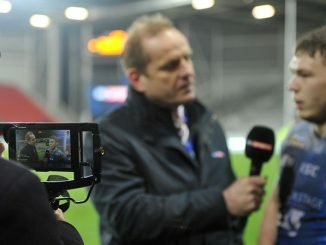 In front of 5,726 fans at The Willows, Phil Coussons’ solitary try was enough for victory for Andy Gregory’s Salford. The return fixture was also relatively low scoring, Castleford coming out on top 12-10 at Wheldon Road. 1997 was a good year for Salford, who finished 6th in Super League in the pre-playoff days, as well as reaching the Challenge Cup semi-finals. The late Steve Prescott MBE started at full-back for Hull in this one, a 6-4 victory over a London side that finished as Super League runners-up the previous season. Graeme Hallas’ conversion of Mark Johnson’s try proved to be the difference between the two sides at the Boulevard. Half-back Damien Chapman got the try for London, who fielded Martin Offiah and Terry Matterson in their starting line-up. Hull team – Steve Prescott, Fili Seru, Alan Hunte, Graeme Hallas, Mark Johnson, Gary Lester, Glen Tomlinson, Hitro Okesene, Brad Hepi, Andy Ireland, Simon Booth, Steve Craven, Logan Campbell. Subs: Jamie Smith, Rob Nolan, David Stephenson, Matt Schultz. London team – Nick Mardon, Wes Cotton, John Timu, Chris Ryan, Martin Offiah, Tulsen Tollett, Damien Chapman, Matt Dunford, Terry Matterson, Matt Salter, Steele Retchless, Darren Higgins, Peter Gill. Subs: Luke Goodwin, Dominic Peters, Grant Young, Ady Spencer. Still the only match in Super League history that hasn’t seen a try. In what was Shaun McRae’s first game in charge of the City Reds, they led 2-0 at half-time thanks to a John Wilshere penalty. Paul Sykes levelled the score at 2-2, before a Luke Robinson drop goal edged Salford back in front. Wilshere made sure with a second penalty, on 73 minutes. Unfortunately for McRae and Salford, they managed to win just one more match in the remaining 10 games, finishing bottom of Super League and were relegated to National League 1. Salford team – John Wilshere, David Hodgson, Kevin McGuinness, Aaron Moule, Stuart Littler, Luke Dorn, Luke Robinson, Michael Korkidas, Malcolm Alker, Paul Highton, Andy Coley, Mark Edmondson, Simon Finnigan. Subs: Andrew Brocklehurst, David Gower, Jordan Turner, Lee Jewitt. Harlequins team – Chris Melling, Jon Wells, Paul Sykes, Tyrone Smith, Matt Gafa, Mark McLinden, Danny Orr, Karl Temate, Chad Randall, David Mills, Lee Hopkins, Michael Worrincy, Henry Paul. Subs: Julien Rinaldi, Joe Mbu, Steven Bannister, Jon Grayshon. This game, in Celtic’s debut season in Super League, equalled the record for the lowest scoring game ever, as the newboys restricted Saints to a one-try win. Winger Tom Armstrong broke the deadlock just short of the hour mark in front of a 6,351 crowd at the Brewery Field in Bridgend. Despite this encouraging result, it took Celtic another nine games to register their first Super League win, a 30-24 triumph at Bradford. Crusaders team – Marshall Chalk, Mark Lennon, Josh Hannay, Mark Dalle Cort, Anthony Blackwood, Damien Quinn, Matty Smith, Ryan O’Hara, Lincoln Withers, Mark Bryant, Chris Beasley, Darren Mapp, Peter Lupton. Subs: Adam Peek, Ben Flower, Jason Chan, Neil Budworth. 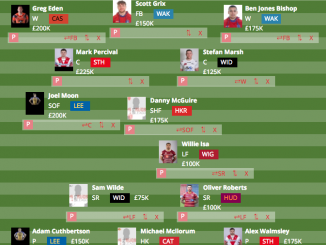 St Helens team – Paul Wellens, Ade Gardner, Matt Gidley, Lee Gilmour, Tom Armstrong, Leon Pryce, Sean Long, James Graham, Keiron Cunningham, Bryn Hargreaves, Jon Wilkin, Andrew Dixon, Tony Puletua. Subs: Jason Cayless, James Roby, Paul Clough, Maurie Fa’asavalu. Salford are featured in the list for a third time, this time due to their 7-0 home defeat to Bradford in 2001. Steve Menzies scored the only try of the game, with Matt Orford adding a second half penalty, and Paul Sykes scoring a late drop goal. Salford team – Karl Fitzpatrick, Jodie Broughton, Adam Henry, Willie Talau, Ashley Gibson, Stefan Ratchford, Daniel Holdsworth, Ryan Boyle, Malcolm Alker, Rob Parker, Ian Sibbit, Matt Adamson, Luke Swain. Subs: Philip Leuluai, Jeremy Smith, Stuart Littler, Adam Sidlow. Bradford team – Dave Halley, Ricky Sheriffe, Paul Sykes, Chris Nero, Stuart Reardon, Brett Kearney, Matt Orford, Nick Scruton, Heath L’Estrange, Andy Lynch, Elliot Whitehead, Jamie Langley, Steve Menzies. Subs: Glenn Hall, Wayne Godwin, Craig Kopczak, James Donaldson. 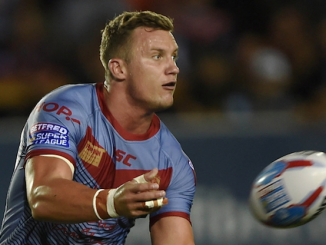 Just seven months after being thrashed 72-10 at the same ground, Widnes returned to the KC Stadium to record a gutsy 7-0 win, nilling opposition for the first time in Super League. Patrick Ah Van pounced on a mistake by Jordan Rankin to score inside the first minute, and it took an hour for the next score to come, a penalty from Ah Van under the sticks. Tom Gilmore made sure late on with a drop goal. Hull team – Jordan Rankin, Liam Colbon, Joe Arundel, Kirk Yeaman, Fetuli Talanoa, Aaron Heremaia, Richard Horne, Liam Watts, Danny Houghton, Gareth Ellis, Chris Tuson, Richard Whiting, Joe Westerman. Subs: Iafeta Palea’aesina, Jordan Thompson, Ben Crooks, Liam Hadley. Honourable mentions to Bradford’s 8-3 win at Hull in March 1999, and St Helens‘ 11-0 victory over Huddersfield in May of the same season. 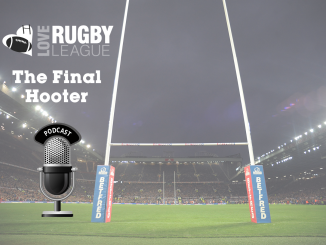 Share your stories of low-scoring games from any rugby league competition in the comments section below.